My scavenger hunts and other passive programs are so popular, I thought I’d mix it up a bit with a new game. 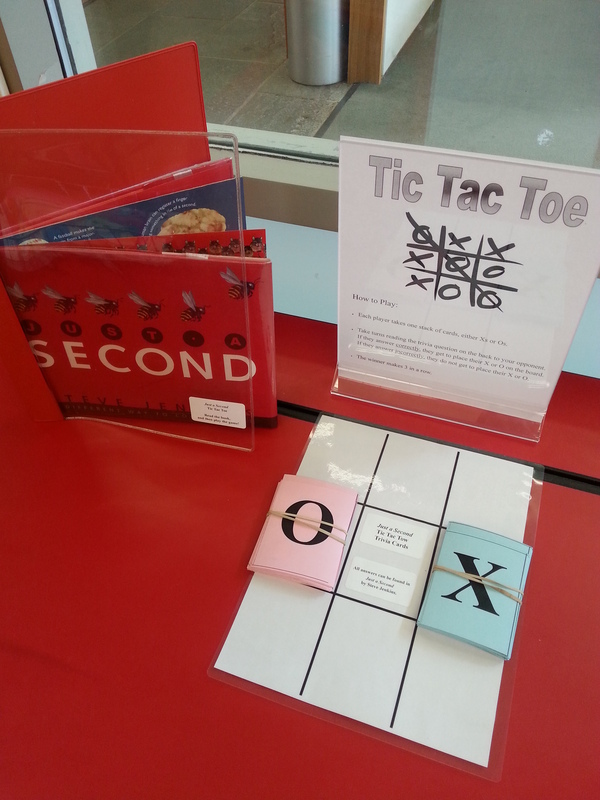 This non-fiction game includes Steve Jenkins’ Just a Second. I put a copy of his book in a new magazine holder so it wouldn’t wander away from my program station. I copied questions and answer cards on different colored paper with Xs and Os on the opposite side. This way, the game can appeal to younger children who can’t read but could play a game if they happened upon it. It’s been very popular, so I wanted to share it. 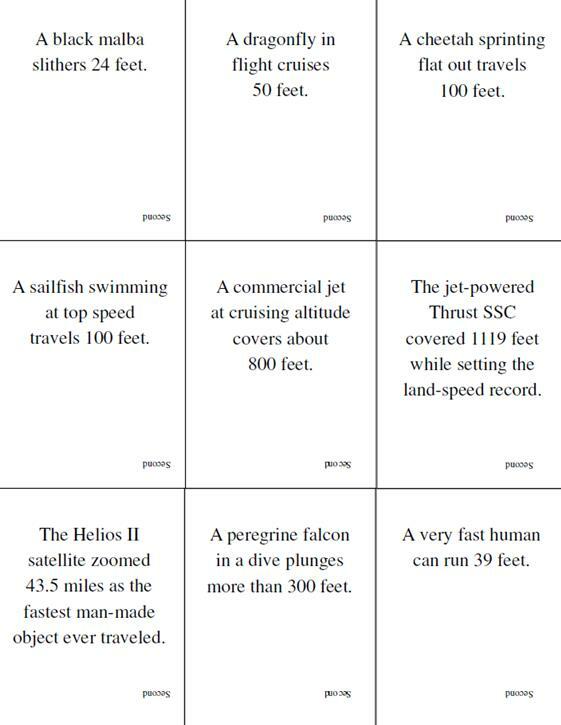 The trivia cards have one fact on them. The opponent needs to guess which measure of time the fact happens in: 1 second, 1 minute, 1 day, 1 month, 1 year. If they guess right, they take the card and place their X or O. If they guess wrong, the opponent gets the X or O. Of course, Steve Jenkins’ books are great for this. What else would you recommend? Let me know in the comments section! This entry was posted on May 11, 2016 by mrsshaia in Passive Programming and tagged Passive programming.